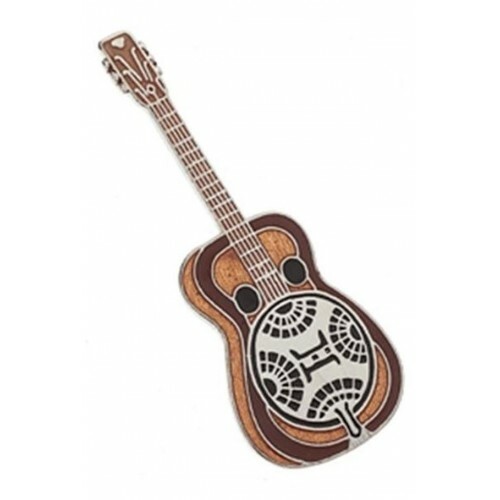 Pin brooch depicting a Dobro guitar (although it came into common use, it is a Gibson registered trademark). It has the characteristic of having a central metal resonator that gives it a particular tone (very metallic!) and volume of sound. The one shown here is a Dobro style 37 guitar from 1928. A true prototype! Transparent, brown and black hazelnut enamel. Gold-colored finish.